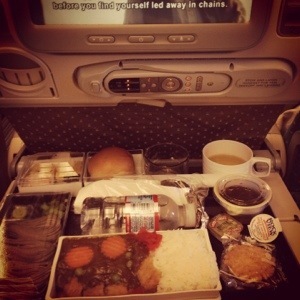 On board Singapore Airlines, on a flight from Los Angeles to Tokyo. If what the Mayans say is true and we will only make it to twenty-one days this December, I will glad I did make it to Tokyo. Japan, the country of a culture I once obsessed over all throughout high school and then some, the country that is held responsible for many of my weak spots- from food to anime! This trip is a mission and I say, “challenge accepted.” However, I am not there… yet. I do not think I have ever sat on my rear for this long consecutively. I did manage to watch four movies, currently debating on a fifth. The Dark Knight Rises is on here and I have been so tempted to watch it, but I have seen it twice and there is an abundance of movies! 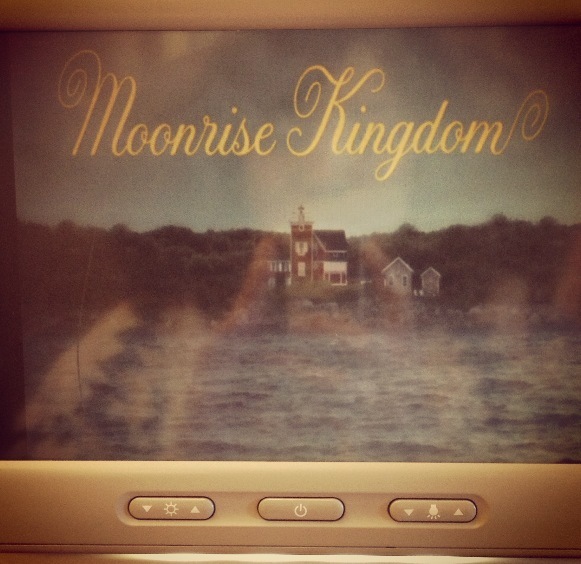 First choice: Moonrise Kingdom. Wes Anderson does not fail. Enjoyed some Riesling while I watched that one. How perfect. It’s a feel good movie with young love and great cinematography. Next I watched Abraham Lincoln: Vampire Hunter. The fights are well choreographed, however it did feel a bit slow. Dozed off on that, but to discredit it for being the cause, they did provide our meal during that time. Soba and pork katsu curry! Average, of course, but it got me stoked for what is in store for me once this plane lands. I wanted to lighten things up after that and watched Bachelorette. Never heard of it? Me neither. But there were big names like Kirsten Dunst and James Marsden, so I gave it a whirl. Surprisingly, not bad. Kind of like Bridesmaids which they say is the female Hangover. I saw a trailer for Seeking a Friend for the End of The World a bit ago and wanted to watch it, so I did. It was good. Along the lines of Eternal Sunshine of the Spotless Mind, Garden State and Lost in Translation. A male with a mediocre life meets quirky girl and it goes from there. Eternal Sunshine will forever be my favorite so I hold any other movie with the same general concept to those standards. I do recommend it. The apocalypse twist makes for a interesting concept. There will be fun posts to come. For now, I am forever on a plane.